Adopting the theme of “Strategic Management for Public Sector”, training participants of PIM Sri Lanka Batch IV took part in the training on April 23-27, 2018. During the training program held in Master in Management Faculty of Economics and Business Universitas Gadjah Mada (MM FEB UGM), the participants would be given courses from lecturers capable of the topic. In addition to learning the topic in the classroom, the training participants got the chance to visit public sector company to directly observe its strategic planning process. 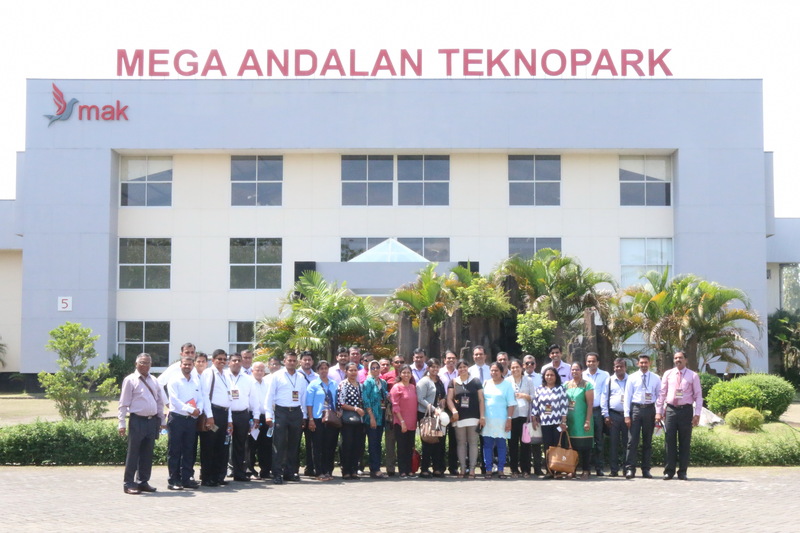 On April 24, 2018, the 36 training participants went to PT Mega Andalan Kalasan (PT MAK) which did their business on making hospital equipments. Its products had been exported including to Japan. The participants visited the factory to see the manufacturing process as well as the packaging process of the hospital equipments. Leaving PT MAK, the participants headed to their second destination, the Department of Trade and Industry Sleman. 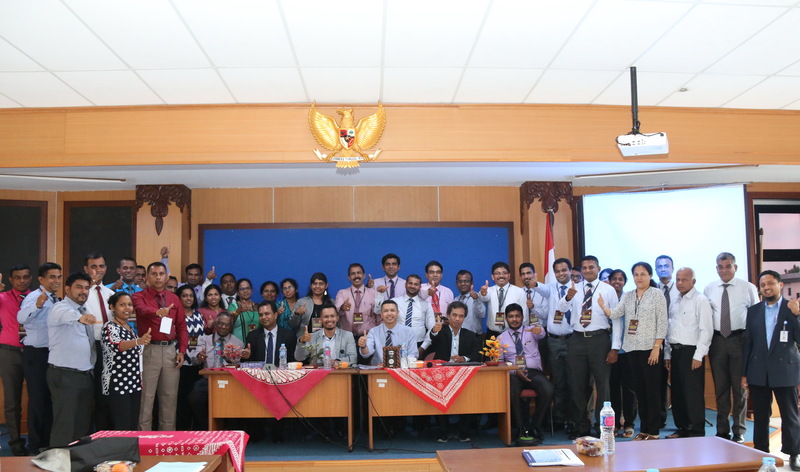 Bayu Sutikno, Cand.Merc., Ph.D. as the Deputy Director of MM FEB UGM, Dilhan Virendra Goonetilleke as the training coordinator of PIM Sri Lanka, and the participants were explained the strategic planning process of the department. The training participants were also invited to see the small medium enterprises products displayed. Most of them bought some products since they found the design and shape were unique, the quality was good, and the price was reasonable. Then, they continued the visit to see the manufacturing process of Gendhis bag home industry. Moving on to Jakarta, on April 27, 2018, the training participants of PIM Sri Lanka went to Jakarta Smart City and Bank HSBC Indonesia. In Jakarta Smart City, they were introduced to the strategic planning process using smart city concept based on 6 foundations; Smart Governance, Smart People, Smart Living, Smart Mobility, Smart Economy, dan Smart Environment. There was a lively discussion since the concept was something different which might be applied in Sri Lanka. They continued their agenda to visit Bank HSBC Indonesia at 12.30 PM where they had another discussion on strategic management in banking industry.